The new Nocatee Landing will allow access to one of the most breath-taking views in the community. 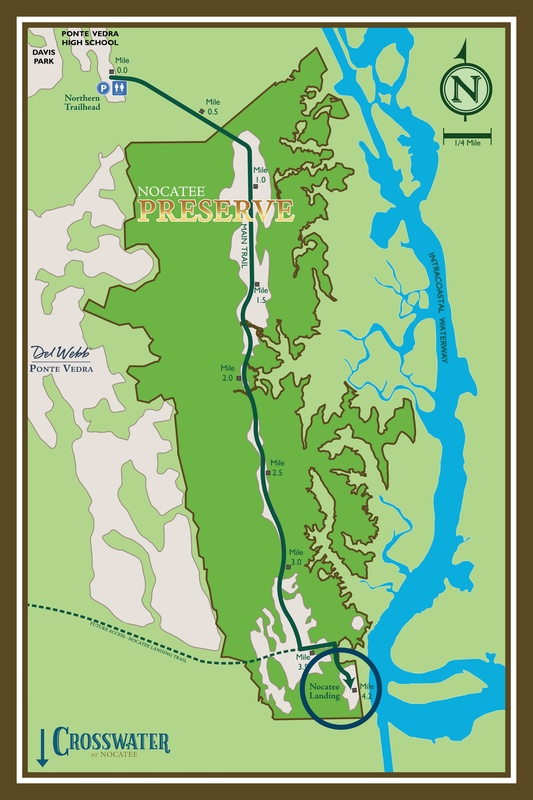 Nocatee’s newest amenity will be located at the base of the southern trailhead of Nocatee’s Preserve, adjacent to the Tolomato River (Intracoastal West). The connector road off Crosswater Parkway, Nocatee Landing Trail, is currently under construction and is approximately 1 mile north of the new Crosswater collection of neighborhoods. The Nocatee Landing’s open-air pavilion will feature stunning views of the river, with parking and restrooms conveniently on site. Outdoor Enthusiasts will be able to launch non-motorized water vehicles and explore the local waterways.